With over 420 projects under his belt and a slew of awards and nominations, including four Academy Award® nominations, Doc Kane has one of the longest and most impressive resumes in the sound business. 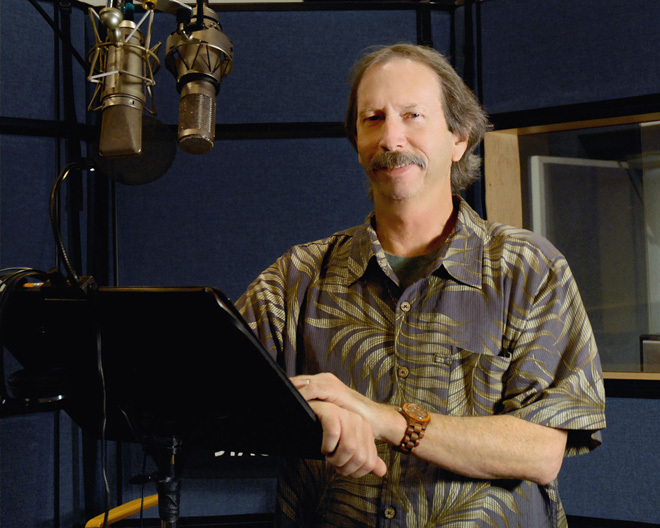 Recording for over 30 years, Doc has worked with hundreds of talented actors including Bradley Cooper, Tom Cruise, Ellen DeGeneres, Johnny Depp, Mark Hamill, Brad Pitt and Robin Williams to name a few. He has worked and continues to work with dozens of legendary filmmakers such as: Tim Burton, James Cameron, Clint Eastwood, David Fincher, Taylor Hackford and Pete Docter. Recent projects for Doc include: Incredibles 2, Avengers: Infinity War, Solo: A Star Wars Story, Pirates of the Caribbean, Ant-Man and the Wasp, and Ralph Breaks the Internet: Wreck-It Ralph 2. Doc was honored with the CAS Career Achievement Award in 2016 and won the 2017 CAS Animation Award on his work for Finding Dory. Doc is usually teamed with his long-time ADR Recordist partner, Jeannette Browning, who has worked with Doc since April of 1998. Click here to view Doc’s most recent credits.